The Rebozo: What it is and Why I Love it! The rebozo has become an integral part of how I support laboring people. You may be asking yourself, ‘what is it and why is it so important?’. This traditional Mexican shawl has the ability to become an extension of your partner’s hands and arms during labor. The rebozo also serves as an extra doula in the room! I use the rebozo to help provide additional support, massage, and, when necessary, to help release muscles to create balance in the body. My original rebozo was a gift from my very first client, and I treasure its calming blue presence. I think of her, her husband, and her baby (now a school-aged child) every time I use it to support a family during labor. The rebozos I bring to labor carry with them all of the energy and wisdom of the previous births they have attended. The rebozo (pronunciation) is a traditional Mexican shawl, used to help with carrying objects, carrying babies, massage during pregnancy, and support during labor and birth by midwives. 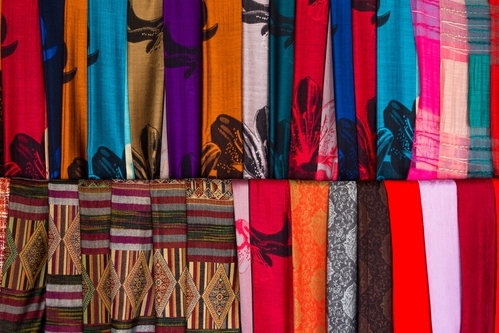 Rebozos are long, traditionally 2 feet by 9 ft., giving plenty of fabric to wrap and support the body during work, which was its original purpose. The rebozo is a highly personal piece unique to each woman. The way a woman would wear the rebozo signaled her status as married, single, or a “lady of the night.” Rebozos became very fashionable when artist Frida Kaholo and Mexico’s first empress wore them in the 1800’s. During the Mexican Revolution of 1910, rebels used the rebozo to smuggle guns and other weapons past checkpoints. The rebozo became a symbol of Mexico’s struggle for independence. Since rebozo’s are so useful for daily manual labor, it is no surprise that women used rebozos to support the hard work of becoming a mother and mothering. Rebozos can be worn around women’s waists during pregnancy to help alleviate discomfort and provide additional support. Midwives used the rebozo to help shift the baby into an optimal position for labor, thus helping the head descend through the pelvis. The rebozo is also used as another pair of arms that can hug the mother by being wrapped tightly around her shoulders, or provide counterpressure on the back or hips through tying the rebozo. Every Brainy Birth doula client receives an authentic rebozo, as I believe it is important to pay homage to the cultural significance of the rebozo by using an actual rebozo instead of a sheet or scarf. During the prenatal visit, I work with you and your partner to teach you how to use the rebozo for massage and to help alleviate any pregnancy discomforts you may have. I leave you with a “prescription” of exercises and massage to do with the rebozo specific to your needs. This gives you and your partner a chance to become comfortable with the rebozo before birth so that its use feels natural. Experimenting with something new during labor usually doesn’t work very well! Using the rebozo to take the pressure off the mother’s back while providing a massage that releases the lower back and the muscles supporting the uterus. It feels really nice. Using the rebozo to baby wear while you are still pregnant! This technique lifts the baby to provide relief in mom’s back and hips. You can wear the rebozo like this all day long! A fun technique that releases the lower back and pelvic floor. I know it might sound a little odd that a ‘piece of fabric’ can do so much, however, my experience truly shows that a rebozo can be an amazing source of support for women during labor. During some labors. the rebozo is used consistently and during others, it never comes out of the bag. Just like a good doula, it is always there, holding space and waiting for the appropriate time to make itself known..